I used to really hate selling on eBay. When you take into consideration the commission they charge, plus the PayPal fees, and the effort involved in the postage, I just could never be bothered. Last summer I spent half of a Sunday doing a car boot sale, and that’s not including the time it took to sort out all my stuff, and get it loaded in the car. You also have to pay to get in to a car boot sale and when you compare the fees, you will see that it is pretty comparable (unless you are selling really expensive things at a car boot sale). You also get to do it from the comfort of your own home. I’ve also found a better way to manage my postage. 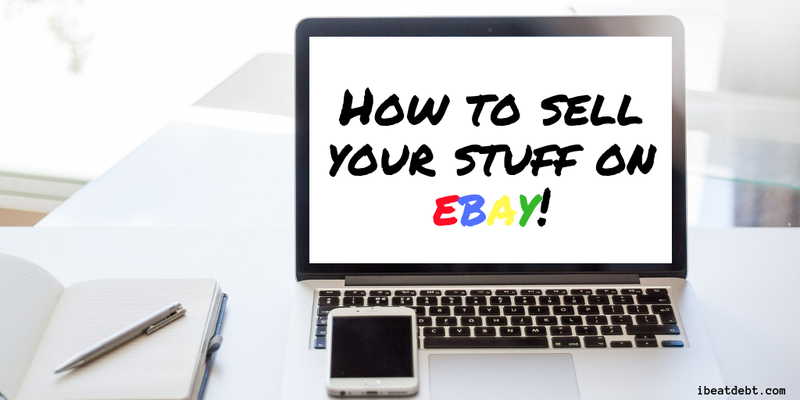 You can have a certain amount of listings for free on eBay per month (placing the listings are free, but you will be charged a fee if the item is sold) so you can list them at no risk. This is a great way to test the water and see if your items will sell knowing that it won’t cost you anything if it doesn’t sell. Photograph the item thoroughly and use as many of the free pictures as you can. Describe everything as accurately as possible. Outline (and picture if possible) any faults or issues that a buyer might have with an item. This will prevent any issues arising after a sale. Weigh the item before you sell it. There’s nothing more annoying than making a loss on an item because you have got the postage wrong. I now dispatch my items with MyHermes as it is so much easier to work out the cost. You can add insurance for an extra pound and you can drop your items off to loads of small corner shops, meaning the days of trying to get to the post office on your lunch break are over. Just make sure you check for their product restrictions on what you cannot send. Start your listing on a Thursday evening to last for 10 days and to end on a Sunday evening. Research has apparently proved that this is the best time to end an eBay auction. Start your auction at a price you would be happy to receive for the item. The way I see it, if I start it at 99p, and that’s what I get for it, that’s still 99p more than I had before! Obviously if your item is rare or valuable, price it sensibly. It is more likely to receive extra bids if that is the case but again, start at a price you would be happy with just in case you get that last minute one bid at the starting price. 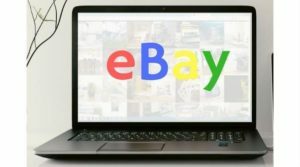 Buy It Now is becoming a more and more popular auction – mainly down to the fact that our generation are used to getting things quickly, so waiting up to 10 days for an auction to end, before the item is even dispatched is putting people off. I always try to dispatch items within 24 hours of payment being received, but my listings say 48 hours to give me that extra time. If that is too short a time for you – be sure that is made clear in the listing. If there are any delays or issues, keep communication open with your buyer. Once it is dispatched, you can select the option to mark as dispatched. Your buyer will then know it is on the way. This should prevent you being chased. Leave it a few days and then leave the buyer feedback. You cannot as a seller leave a buyer poor feedback which I always find annoying. If there is an issue or a problem, then go through the eBay resolution centre. It still won’t affect their feedback but it least it will be logged against their account. When you buy things online (from eBay or anywhere else) keep the packaging if at all possible. Padded envelopes and boxes can always be reused. It can also save you a lot of money. If you do need to buy packaging materials, shop around. Buying last minute from the post office can cost a fortune. If you can, bulk buy and store the materials. Poundland does sell padded envelopes etc, but you can get them for a much cheaper price if you bulk buy from a stationery store or online packaging supplier. This only works if you have somewhere to store the stuff – but it doesn’t really take up that much space. 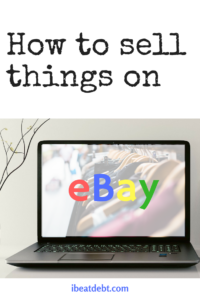 Have you got any top eBay tips that I’ve missed? Let me know below!